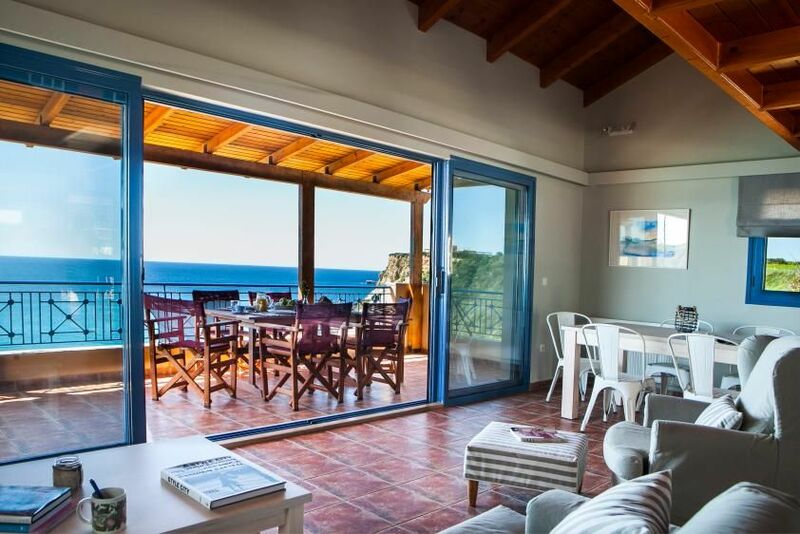 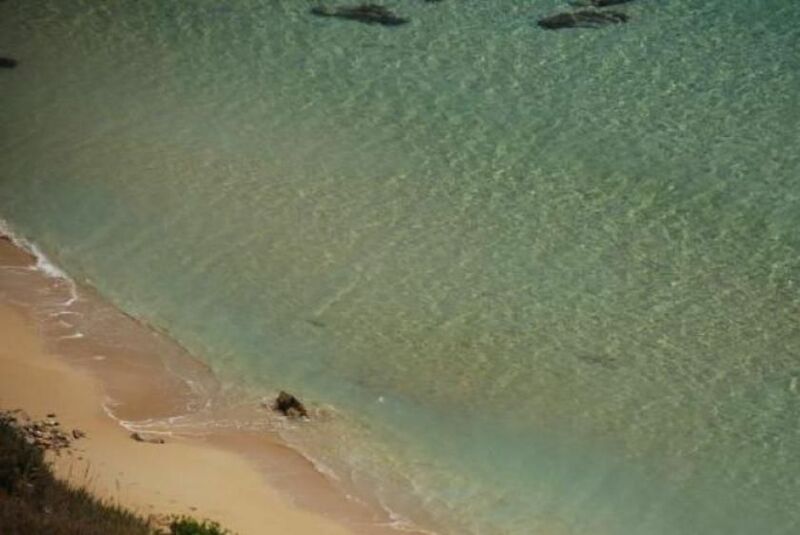 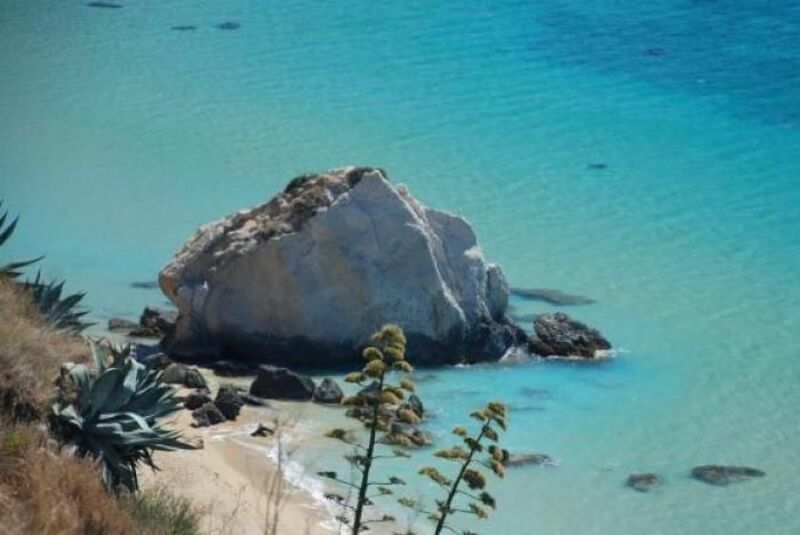 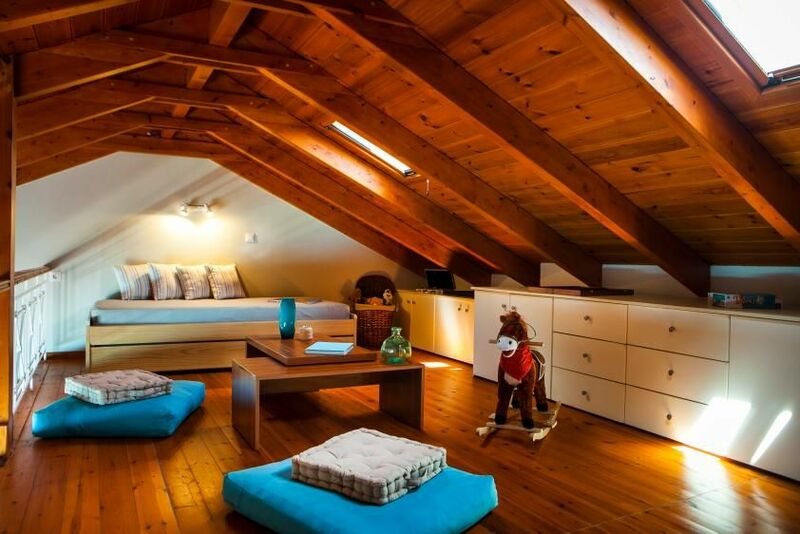 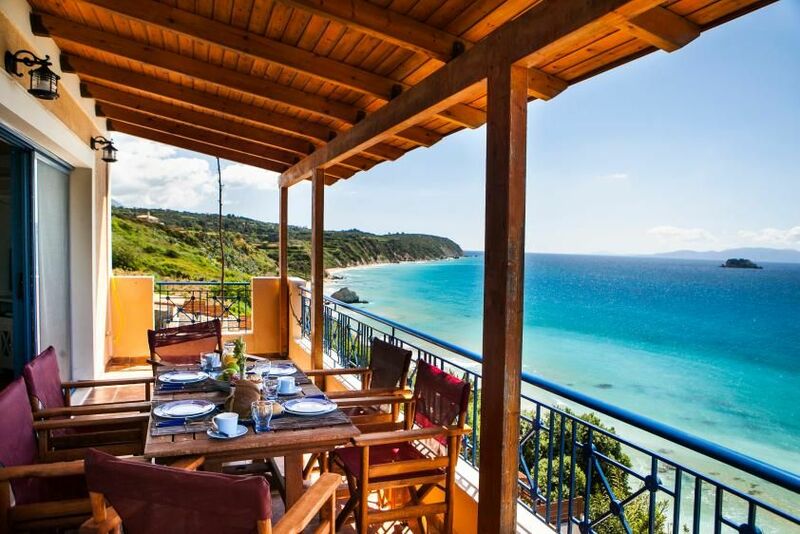 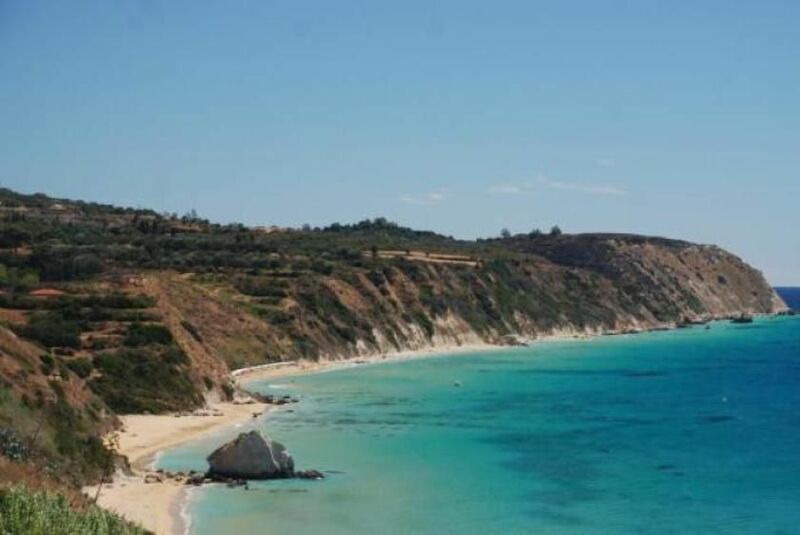 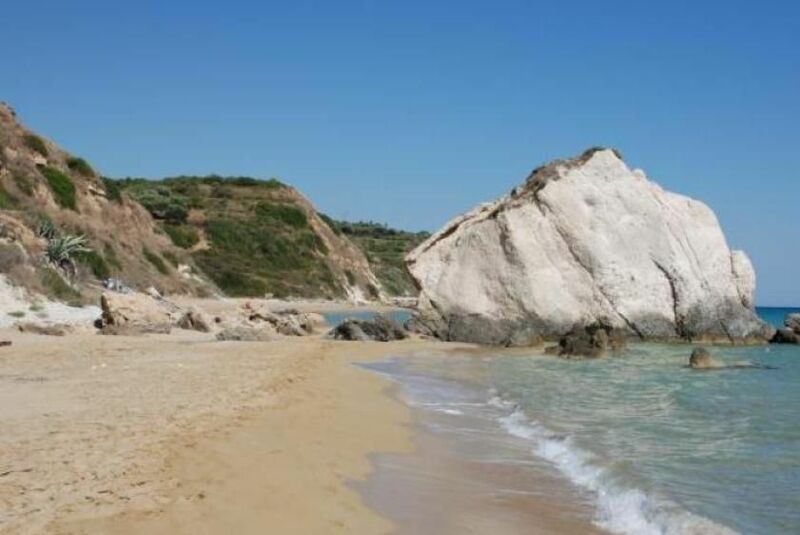 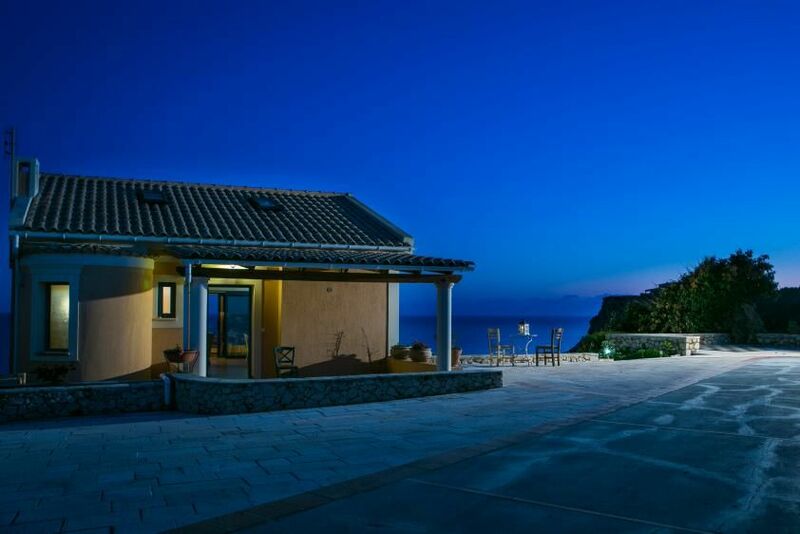 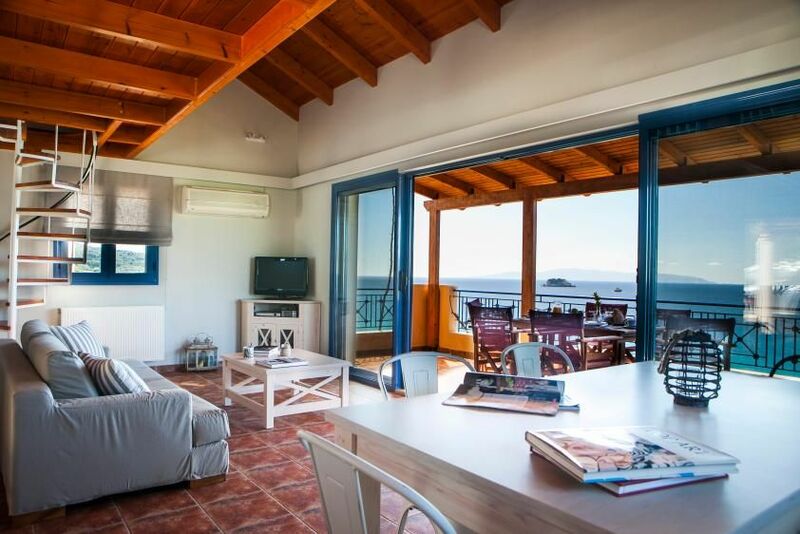 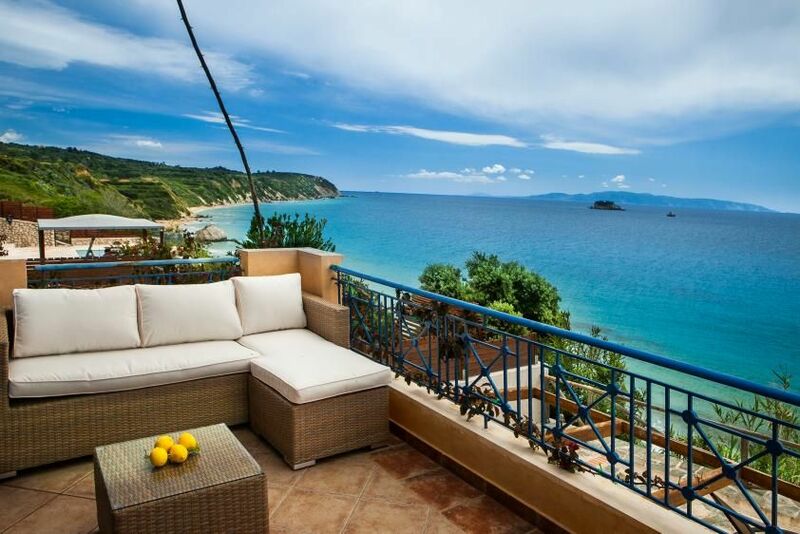 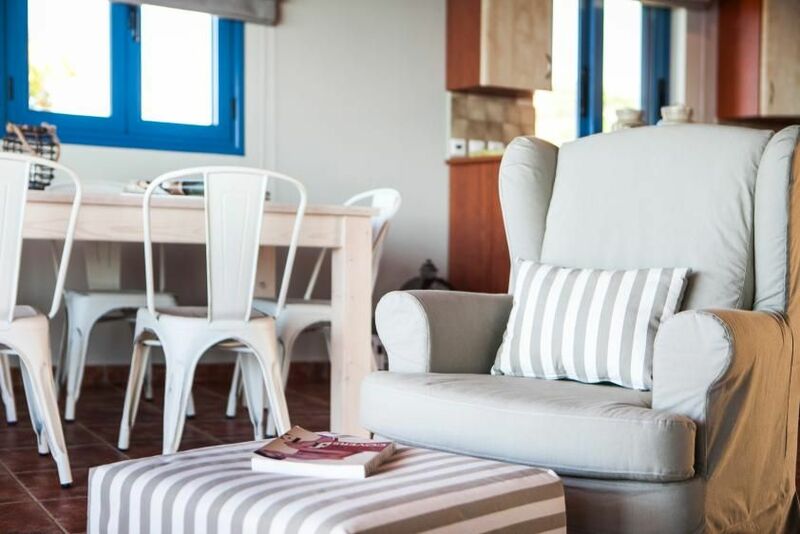 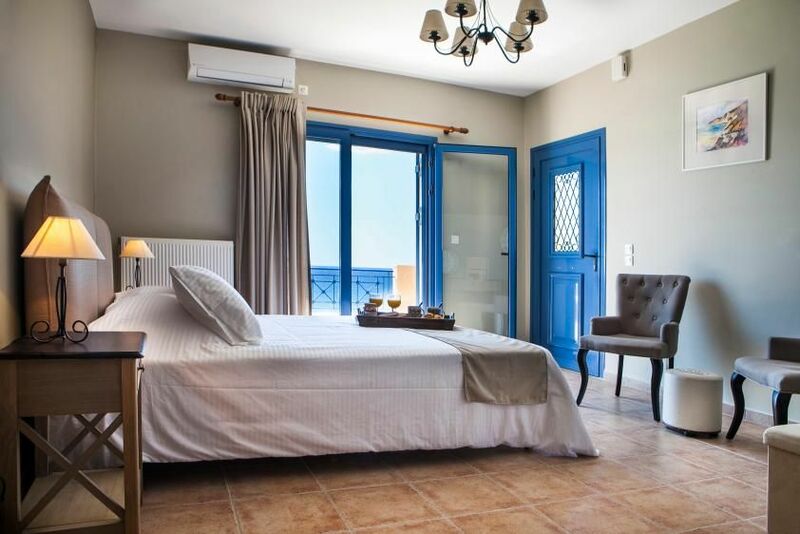 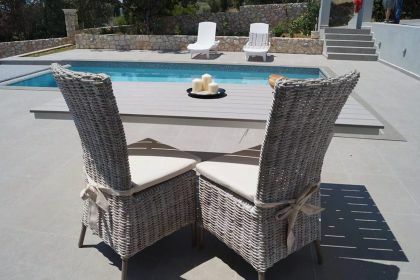 Villa for rent in Kefalonia and offers luxury accommodation up to 6 guests in 3 bedrooms.This private villa comprises of 2 levels and an attic:The first floor houses a living room with kitchen and dining area, a washroom with shower. 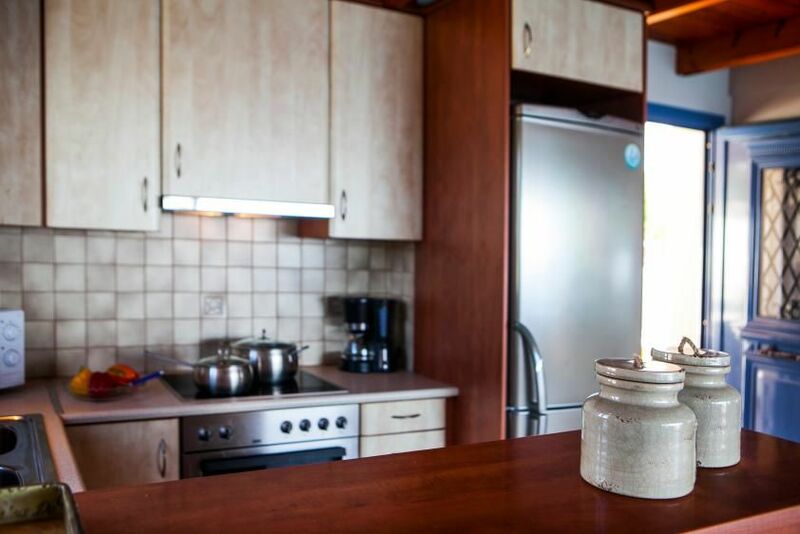 The living area is conveniently furnished with sofa, armchairs, TV, DVD player while the kitchen is fully provided with the appliance and tableware for self-cooking. 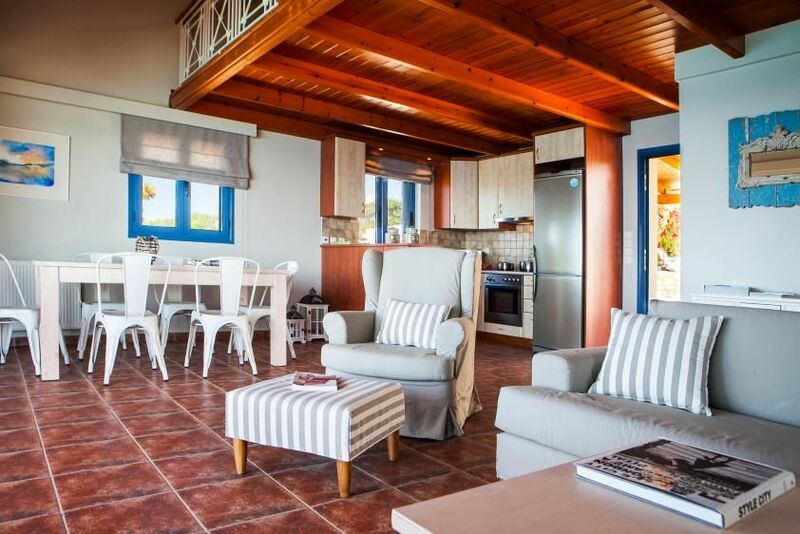 The lounge area is separated by a glass partition from a covered verandah with dining table (seats up to 10 guests). 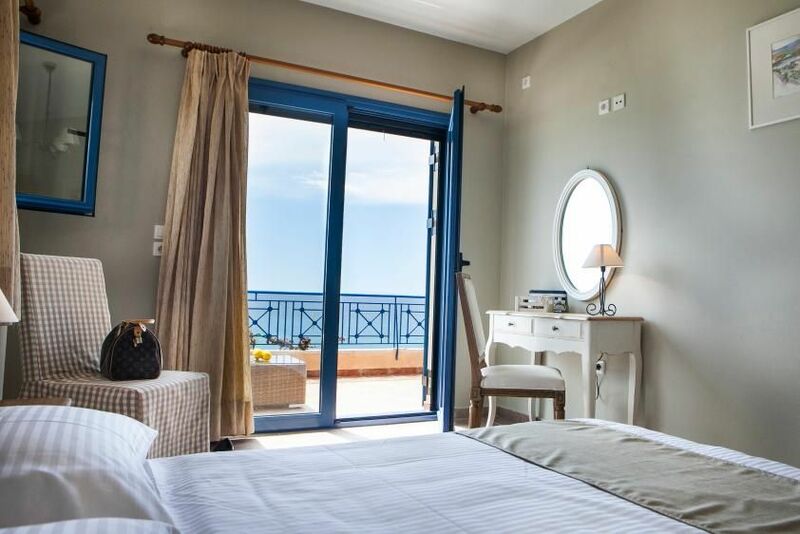 Also as an additional bedroom as there is a sofa bed, that sleeps 2 more persons.There is a master bedroom, a guest double room with sea view, along with another single bedroom and a large bathroom with a bathtub. 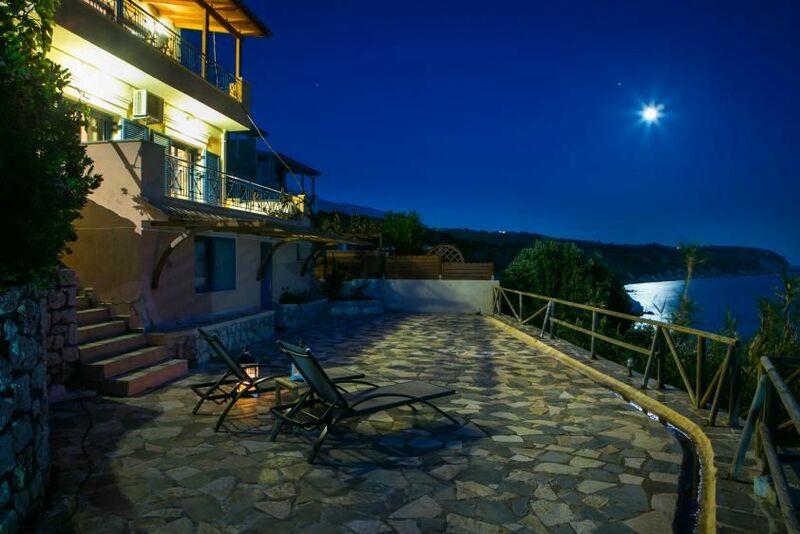 The villa has an extra ground floor courtyard equipped with sun beds to sunbath and a lounge with barbeque facilities. 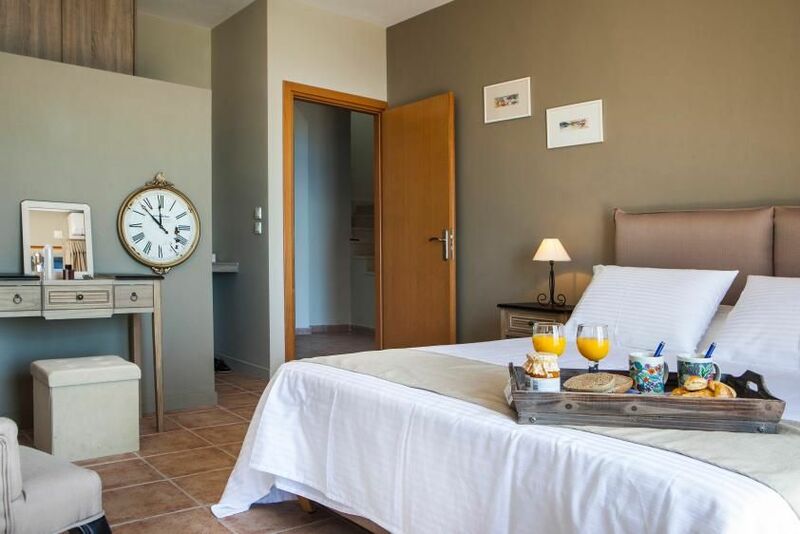 In overall, it is a nice and calm area, only 10 minutes’ drive from the Airport and 15 minutes driving to the main town. 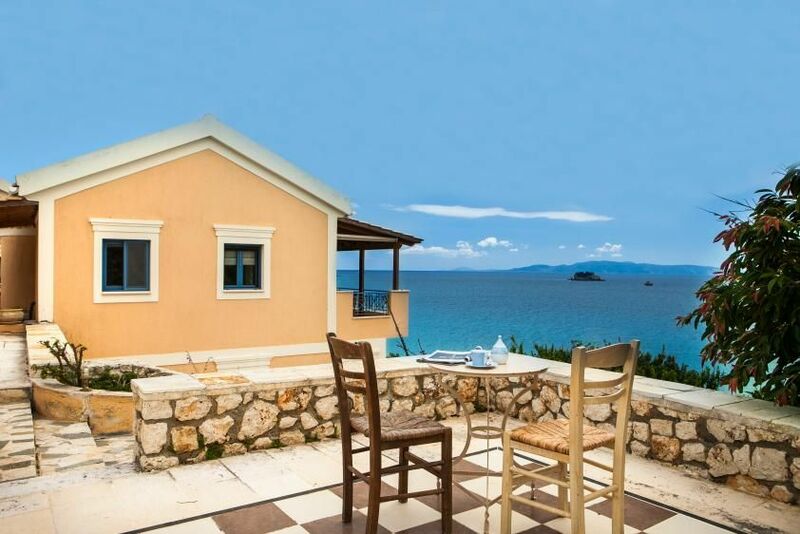 There is a variety of restaurants and tavernas within walking distance, a small mini-market and 3 large supermarkets if 10 min by car. 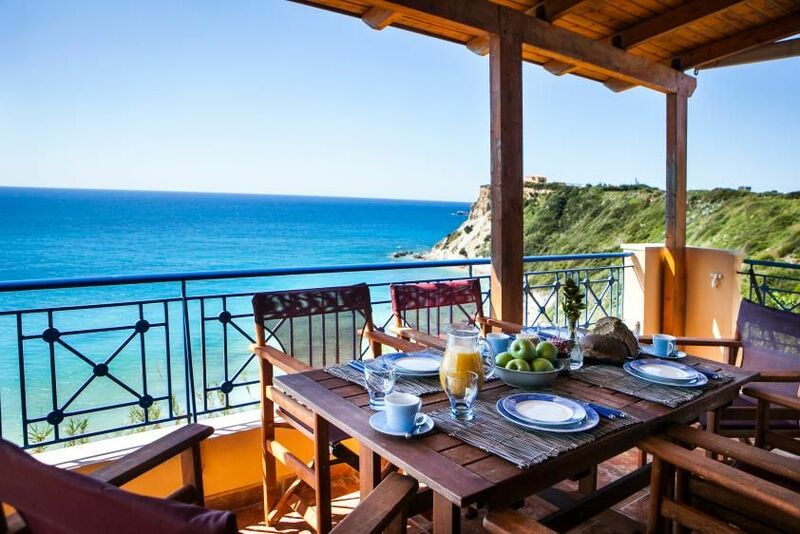 Concierge to arrange extra services: laundry, car/yacht/boat hire, transfers, private chef, tours, massage, yoga classes, etc.